Out now in UK cinemas. DIR. Carla Simón. Starring: Laia Artigas, Paula Robles, Bruna Cusí, David Verdaguer. Akin to Celine Sciamma’s Tomboy or Scott McGehee and David Siegel’s What Maisie Knew in which a precocious, perhaps conflicted child is experiencing emotions beyond comprehension, Carla Simón’s microscopic directorial debut is a sensitive, delicate and captivating rarity. An autobiographical slice of life, a summer in 1993 to be exact, fleshed from photographs and memories and feeling, it has the mood and tempo of something deeply personal, alive with a tactility and vibrancy that permeate even the smallest of moments. 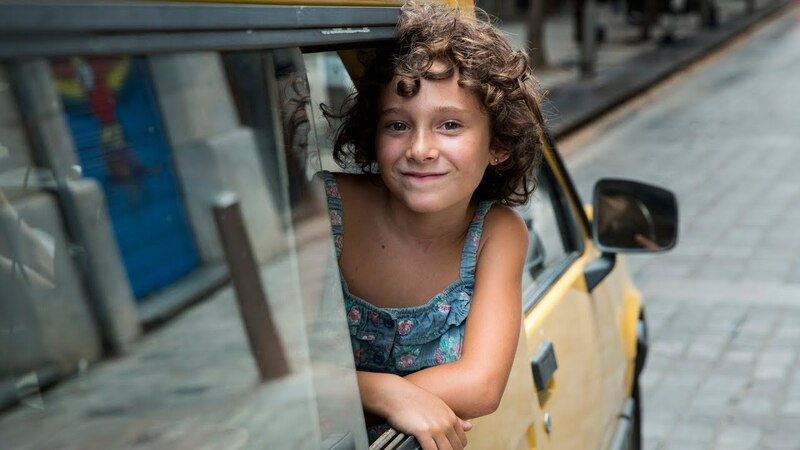 Simón’s own childhood experiences are transposed onto Frida (Laia Artigas), a curly-haired 6-year-old we are introduced to in the midst of upheaval. The apartment in Barcelona in which she lives is being packed up and along with her dolls, she is being shipped off to stay with family in the rural outskirts of Catalan. Why? Frida’s mother recently died from AIDs-related pneumonia, a fact which is never explicitly stated but becomes slowly apparent from the doctor’s visits Frida is required to attend and from the standoffish attitude of a fellow parent when Frida falls and grazes her knee in the playground. Drama and solemnity exists at the film’s fringes: in fraught adult conversations behind closed windows, or across dinner tables as children play beneath them, but in locating her perspective firmly with Frida, Simón creates something all the more affecting. 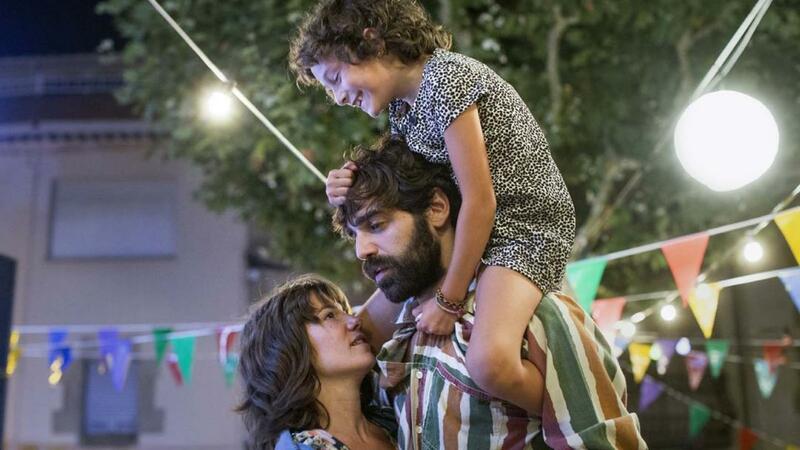 Her aunt Marga (Bruna Cusí) and uncle Esteve (David Verdaguer) are young parents with a toddler of their own, who live a seemingly carefree and bohemian existence. But even their easy-going acceptance of Frida can’t paper over the cracks that begin to surface. Frida is acting out, a response that’s to be expected in her circumstances, but for reasons that perhaps she can’t even articulate. What’s more, she’s not used to having a younger ‘sister’. Anna (Paula Robles) already adores her, but Frida is used to having her own way and being the centre of attention and the affection Anna receives from her parents can’t help but highlight the neglect that has hitherto characterised Frida’s upbringing. Tension emerges from ordinary situations – a lettuce-picking rivalry, a bad hair day, small jealousies, a juvenile prank gone wrong and differences of parenting opinions, but never to the extent that it feels overwrought or melodramatic. This is life lived during adversity. For all the strain, there is still the joy of bathtimes and fireworks and dancing and ice lollies. It’s a summer that seethes with occasional stress, but the presence of a caring and nurturing family equally soothes. Frida is well-loved and the warmth that emanates from watching these relationships deepen is the film’s sustenance. Meandering and melancholic though it may be, frequently letting moments play out in real time, Simón’s restraint is the film’s beating heart. Histrionics are largely absent, except for one painfully real tantrum that Frida throws after her grandparents visit. Death is clearly on the poor child’s mind as she pesters Marga not to get sick, but mostly the grieving process is glimpsed in Frida’s somewhat devious childhood games and glowering. The child posturing as adult is always a strange and strangely somber thing to behold. Behaviours absorbed and copied, without realisation of the weight they perhaps carry or the meaning behind them. At one point Frida is lounging in the garden, face daubed with make-up, and proceeds to order Anna around, alternatively selecting thing from a ‘menu’ for her to fetch or complaining about ‘being too tired to play’. These are words no doubt extracted from Frida’s own life, formerly directed at her, and now reissued in poignant playfulness. It is heartbreaking to watch. The insouciance with which they’re uttered completely ignorant to the situation in which they might have first been spoken. Films that rely on the performances of their child actors are difficult to pull off. How does anyone so young comprehend and then convey such complex emotion? And yet Simón has found, and nurtured, perfection from her two young stars. Arguably it is beyond performance, they are just playing make-believe, as children are want to, and onto them we impose our interpretations of, and reflections on the film. That’s the world this film exists in, a transcendent space beyond staging or editing or narrative. Cut from the same cloth as Andrea Arnold’s American Honey although distinctly less explosive. Wrought from memory and given meaning by how close to the bone you feel Simón must be cutting. But Frida is imbued with a prickly tenacity, and wide-eyed vulnerability by Laia Artigas, whilst Paula Robles as the adorable and incredibly capable Anna, is just as spirited and sparkling. Despite the age difference the two of them have a natural chemistry, and their relationship manages to encompass the difficulty of Frida suddenly having to assume responsibility for a younger sibling – a level of maturity she is not prepared for – and Anna’s own acceptance of a new family member, undeniably bringing divided attention with it. Simón’s writing and direction display a soulful command over her own life, this is a past she has clearly reconciled with. It never feels like a naval-gazing nostalgia trip, but merely a raw meditation on the complexities of illness, loss and family. On a technical level it effervesces with authenticity, the camera captures the Catalonian countryside in its sun-dappled splendour, while the sound design seems to emphasise outdoor elements – flowing water, thunder, mosquitoes – as if to express the power that external forces wield over us. And then, there is the final scene. Unexpected and fierce and full of such emotion I found myself mirroring the central character and bursting into hot, spontaneous tears. Watching a child who perhaps doesn’t comprehend the sadness she might later feel, the deep sense of loss that will stay with her until adulthood, until she feels compelled to make a film about that very loss. Only that she cannot quell her sobbing, and after weeks of stoicism, if occasional tantrum-throwing, the grief has bubbled over and into being. Summer 1993 is wise and wistful, filled with as much warmth as woe and as with Call Me By Your Name or Our Little Sister you just feel glad to live in this cinematic world for an hour or so. Seek it out.